-Topics that they are not interested can be written in circles outside the thought bubble. Help children with the social skill of appropriately expressing love to friends and family. 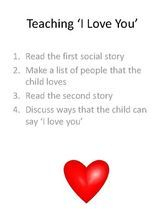 Two social stories and two activities to teach expressive affection. Two printable dice. One contains animals. The other contains emotions. 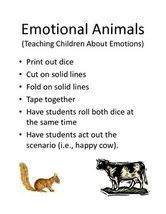 The children roll the dice and act out the scenario - happy cow, sad cheetah, ect.